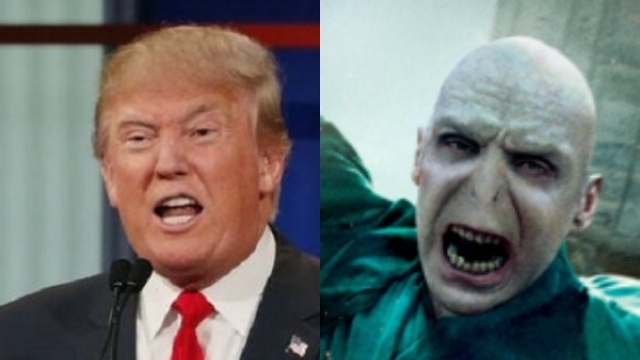 Fox anchor Megyn Kelly has likened Donald Trump to Voldemort, the embodiment of evil in the Harry Potter books. Her aside was revealed by Ted Cruz as the Texas senator was interviewed by Kelly after the Fox News-hosted debate in Des Moines, Iowa on Thursday. Kelly is at the center of the Trump-Fox feud that led to the front-runner’s debate boycott and saw him instead hosting a fundraiser for veterans just a few miles down the road. Since then, Trump has repeatedly taunted Kelly, making public comments about her professionalism and retweeting sexist and critical tweets. Rosario Dawson Gets Dunked For Dollars For Bernie!